Hey everyone! 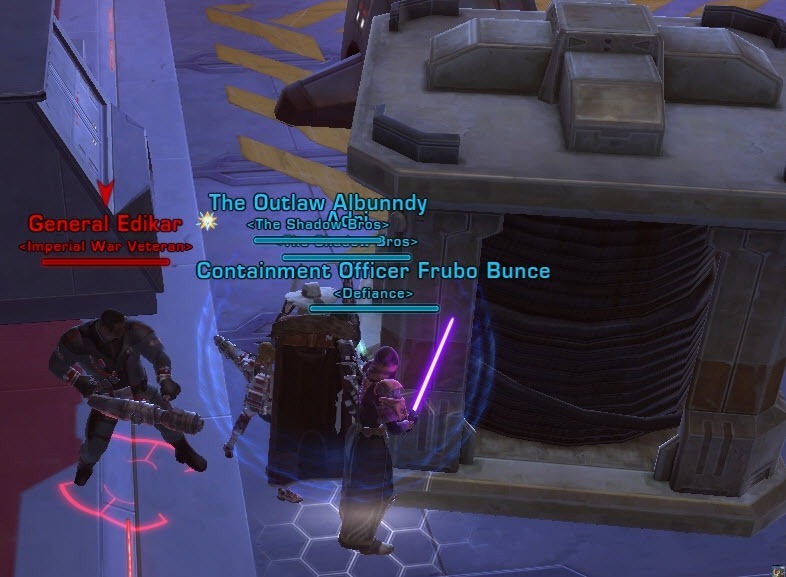 I recently got my commando healer to 50 and after running some dailies, I finally had enough gear to tackle some Republic hardmode flashpoints to finish my coverage of hardmode flashpoints. 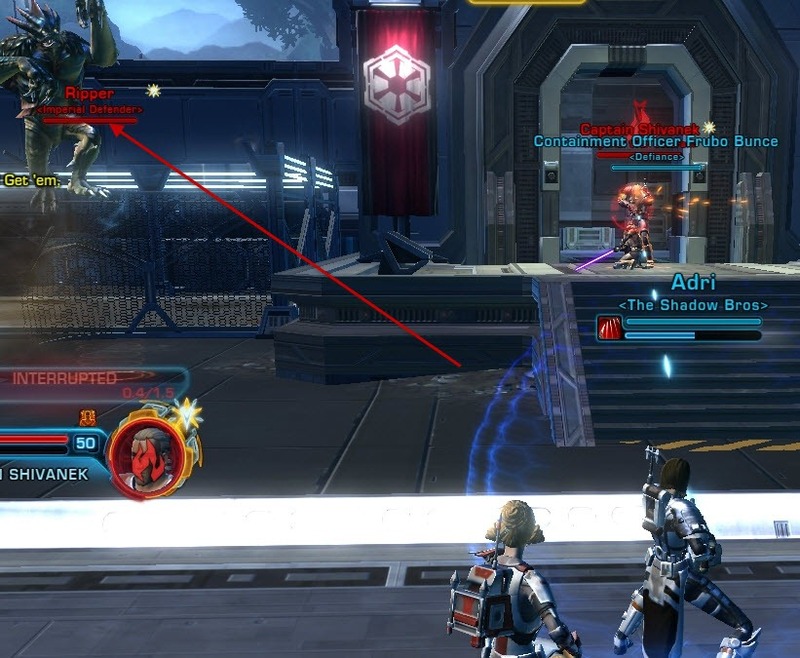 Here is the first of a series of 3 guides for Republic specific hardmode flashpoints: Taral V, Maelstrom Prison, and The Esseles. With 1.2, hardmode flashpoints no longer have a daily lockout and people running them are most likely going for the Columi drops at the last boss. Therefore, I will show you what bosses can be skipped and cover the strategies for the bosses that can’t be skipped. Taral V is the Republic Equivalent of Boarding Party. It is much easier than Boarding Party and a ton of bosses/trashes can be skipped along the way, making this flashpoint a fairly quick one. PD-44 – this one is tricky to skip but can be done if everyone is careful. You can skip him if you follow the wall to the right side of PD-44 very carefully. Nonethless, I will be covering him just in case someone in your group aggros him. Taral V (T5) is designed in a way that allows one to skip quite a lot of trash in the beginning if you hug the left wall of of the little road that leads from the shuttle. Once you arrived at the lake, you will need to go across following the burning pipe and keep hugging the left wall. You may need to kill a few beasts that pop from the ground but the majority of the trash, including the first mini boss Handler Gattan, can be skipped this way. Before reaching the compound, you will need to switch to hugging the right wall and go up the hill, this will lead you to the first actual boss you have to kill – Captain Shivanek. Miniboss that can be easily skipped. Handler Gattan comes with two vinecat adds, which can’t be really taunted and have really good damage reduction (both boss and the adds have about 150k health). The group should spread out and burn Gattan down first as he have a mortar volley attack that deals about 6k AoE damage to players with aggro that are not in the melee range (for this reason, ranged DPS should wait for tank to gain threat before unloading). The two vinecats do not hurt much – deals around on average 100-200 damage per melee attack, around 1k when they leap to you. They do have quite thick hides so it takes longer to burn them down than Gattan. This is the first actual boss you have to kill in this flashpoint. He drops a relic (usually tanking relic). He is a very easy boss that comes with a champion add but has no additional mechanics. Immediately when you engage Shivanek, Ripper, a champion add (Ripper) will pop from the left. The overall idea of this fight is to kill both the boss and at the add at the same time as killing one before the other will cause the remaining one to “enrage” for the next 20 seconds. However, the enrage (extra 300% damage) doesn’t really hurt that much and you can easily tank the enraged mob without much difficulty. 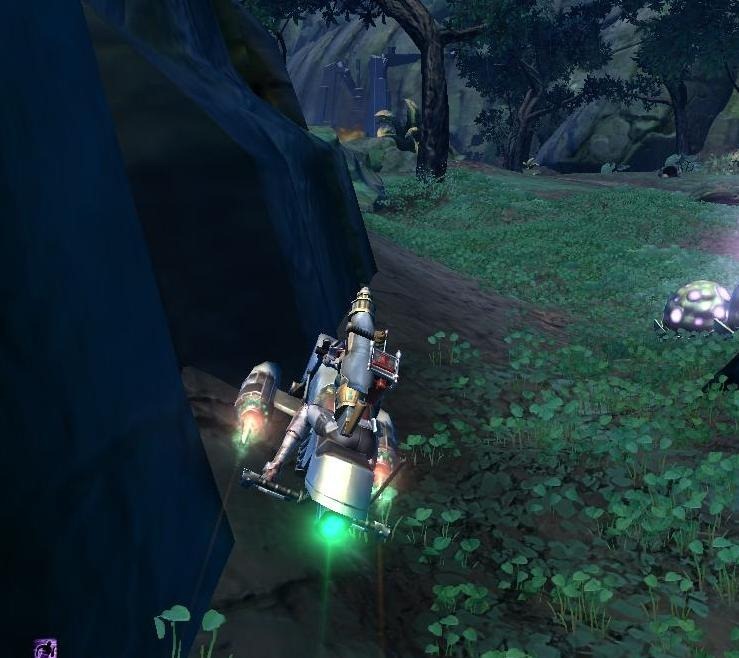 The recommend route is to DPS one mob down to a low %, then DPS the other mob to the same low % and finally finish both off at around the same time. However, you can easily kill Ripper off first (has low defense) and then finish Shivanek off. Shivanek does have a small AoE he launches to random party members and a conal so don’t stand in front of him and don’t stack too close to each other or you will risk splash damage. Essentially a tank and spank fight with an add, couldn’t get any easier! 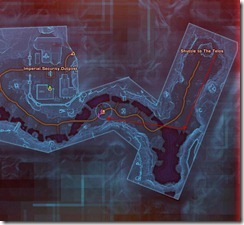 This is a bonus boss that can be unlocked if you do the multi-stage bonus within the flashpoint (Jungle Infiltration). Despite being a bonus boss, Hasper is quite tough and can quickly decimate unprepared groups. Force Lighting is a channel spell directed at the tank that can be interrupted easily. 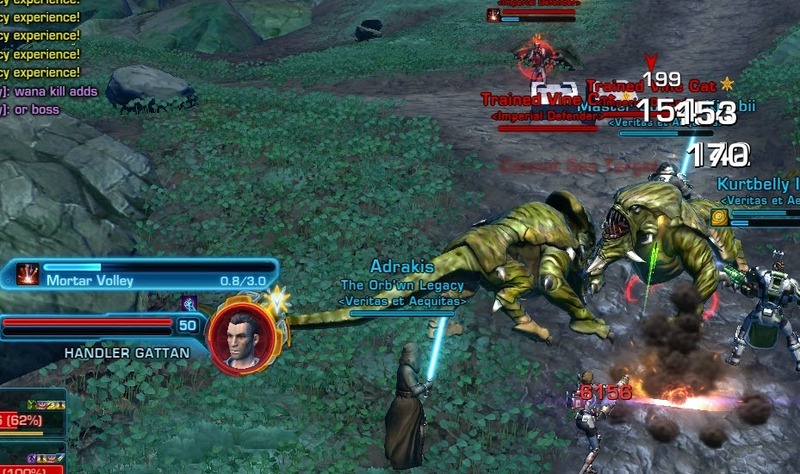 Force Storm is an AoE where Hasper pulls everyone that is within line of sight to him. This is accompanied by a slow and DoTs that tick for 3.6k per tick if you don’t get out of it fast enough. If you group is geared enough, you can simply allow yourselves to be pulled in by Force Storm and then just run out. However, if you are undergeared, the following Line of Sight (LOS) trick might work. The pattern of Hasper’s cast is 3x Force Lighting followed by Force Storm with random Shock thrown in. Knowing this, you can predict when Force Storm is coming and get out of LOS. 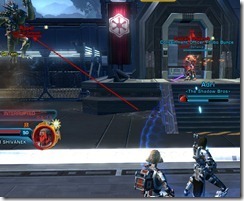 Ranged DPS and heals should position themselves near the door, with melee DPS and tank engage Hasper where he stands. For the first two Force Lighting, everyone can do their normal thing and interrupt them. 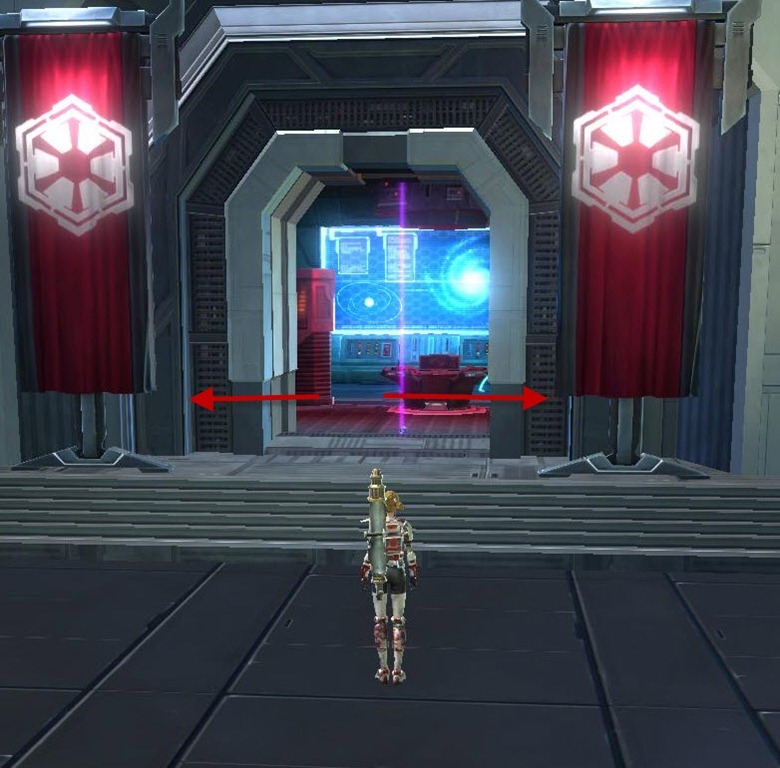 After the 2nd Force Lightning is interrupted/casted, melee DPS should head to the door and everyone other than the tank should use the doorway to get out of LOS. 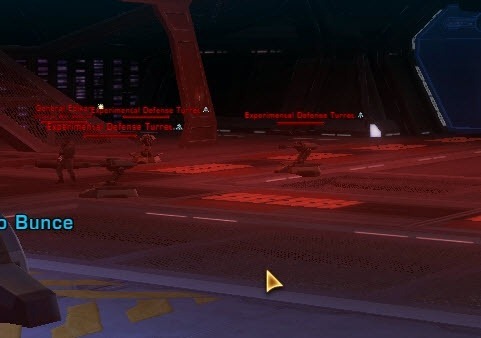 The tank should interrupt the 3rd Force Lighting as Force storm is casted almost immediately after the 3rd Force Lighting and those not out LOS will be pulled in. 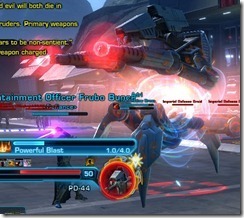 Doing it this way, you can essentially avoid damage from Force Storm on everyone but the tank. You will still need to heal through the random Shock Hasper throws out but it won’t be as difficult. 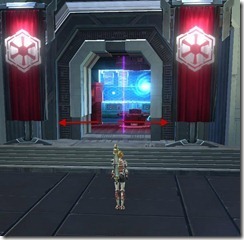 PD-44 is a droid that stands in front of a gate guarding your path to the final boss. He can be skipped if you hug the right wall very closely but someone tend to always aggro him so you may need to fight him if that happens (he drops Energized Boots). 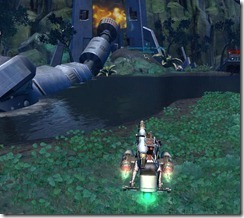 Focus Fire – Can be interrupted, does quite a bit of damage on the tank if not interrupted. Missile Blast – Hits everyone in the group but the tank with missiles for around 3k damage, unavoidable and has splash damage so everyone needs to be spread out. 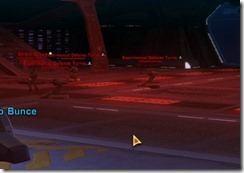 His missile blast phase is triggered by the message in your chat box – Target appears to be non-sentient. Powerful Blast – Needs to be interrupted, deals a moderate AoE if not interrupted. 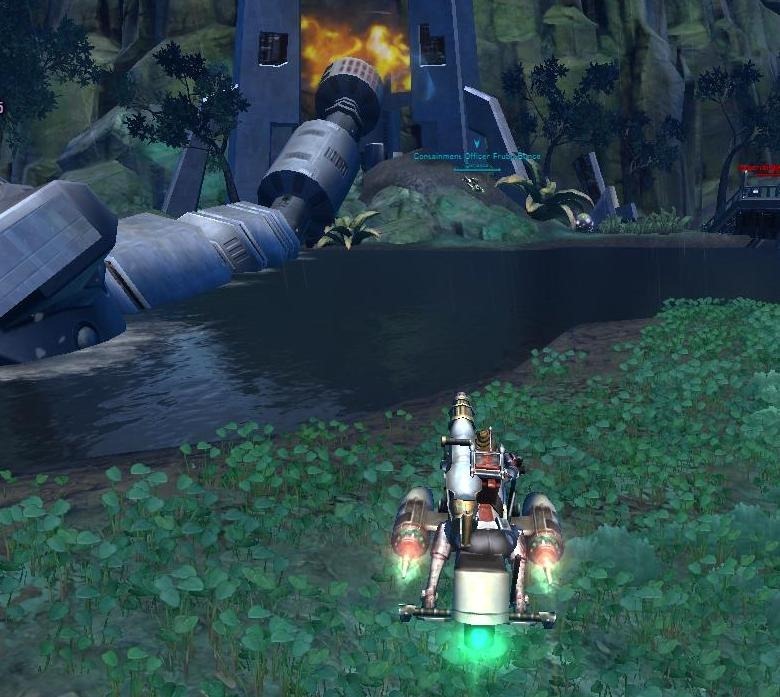 His cannons glow red when he is preparing to cast this ability and he also put out this message in chatbox – Secondary weapons charged, Deploying..
Bombardment – This is a red circle that is placed on the ground during the fight, you cannot avoid the first hit (hits for around 5.6k ) but you can avoid the rest of hits by moving away from the red circle. This attack seem to occur around 75%, 50% and 25%. At around 21%, PD-44 will gain a buff called Very Damaged. I did not notice anything different during this phase but it is best to kill him ASAP! Compared to Captain Shivanek, PD-44 is a bit more heal intensive due to the Bombardment and Missile blast but nothing too difficult to handle. 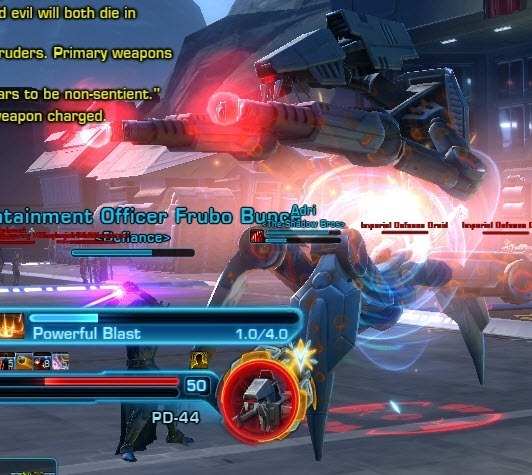 General Edikar is the last boss and the toughest boss in the flashpoint. However, there is a simple LOS trick that will make this fight much easier. He comes with 4 Experimental Defense Turrets, 2 on each side. 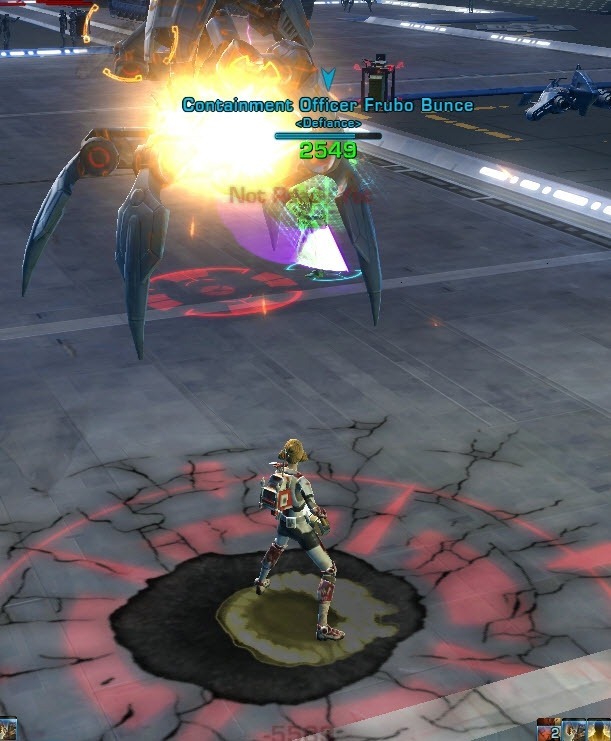 If you did the bonus boss, you can disable 2 of the turrets. With the strategy used here, you wont have to worry about the turrets! The trick with this fight is to have everyone stand behind this pillar thingie near the entrance of the room and then have the tank pull Edikar. This will LoS Edikar and cause him to run to you; this way, the turrets won’t be bothering you. However, doing it this way in such an enclosed space carries its risks – tank must turn him away from the group and DPS must try not to pull aggro or risk the entire group to eat his nasty conal. Full Auto: Hurts – interrupt it. Directed at the tank/highest threat. Hail of Bolts: Conal channeled AoE, hits for 1.5k per tick (5 ticks) to everyone in front of him. Interrupt it and make sure he never faces the rest of the group when he does this ability. Thermal Grenade: Directly randomly at one group member, has no splash damage but this one hurts! Ticks for 1.9k per tick for about 4 ticks. Summon droid adds: At around 75% and 25%, Edikar will summon 4 Outpost Experimental Droids – they are strongs with 12k health and does about 300-400 damage. DPS should burn them down with AoEs. These adds are ranged but if you stay behind the pillar they will run to you. Hail of Bolts + Thermal Grenade can quickly kill someone unless the healer react fast enough. Just make sure that the tank turns him and the DPS don’t pull aggro – this will make this fight go much easier! After you kill the boss, you can then go and finish off the 4 turrets! Hi Dulfy, great website, love it. I have however severel advices for your guide about the Taral HM. You can still lose LOS of Edikar by hiding outside the room. Patch 1.2 has fixed that bug that Edikar can run out of the room. Its still possible however to hide outside the room. With some good timing, the tank can pin him down just before he leaves the room. Then the DPS should dps him down. When the adds come everyone must stay behind the corner. The DPS should be able to continue when they are behind the corner (4 meters is enough). The difference with your tactic is that this way it is way easier to lose LOS of the adds. When Edikar is at around 10-15% health people should ignore the adds and burn him down. When we were undergeared and first trying it, we would run him way back a few rooms through the instance. In this way we killed him just before enraging, and before the first of the 2 waves of adds turned up. However 1.2 has now stopped him leaving the room but you can lure him to the door. Jupz. Its still possible to lure him. This bonusboss is very easy to kill (even when undergeared) The loot is also 1 tionese crystal. With 1.3 they added a bunch of trash you can’t go around after the spider boss that you can still go around. As of 1.3 Lord Hasper’s pull now seems to yank in people that were hiding around corners, so there’s even less reason to fight him on Hard Mode.